When it comes to creating uber expensive products, nobody can beat Hermès. 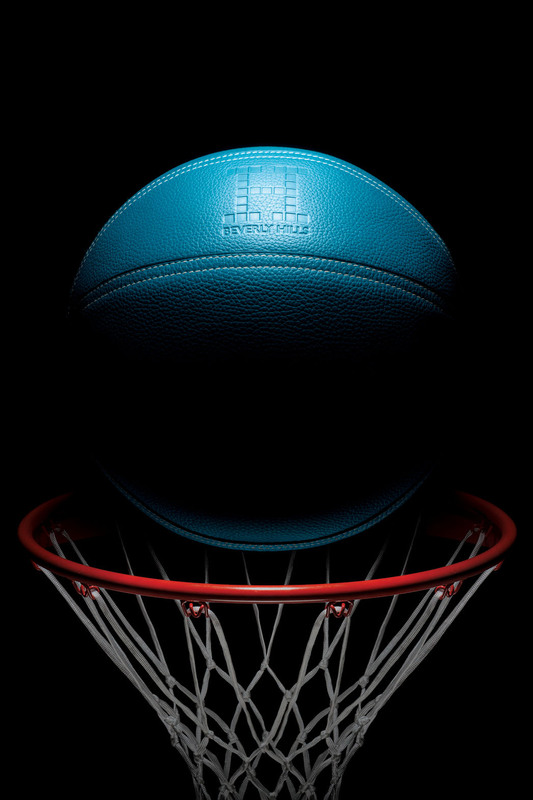 To celebrate the reopening of its 12,000-square-foot Beverly Hills boutique on September 4th Hermès has created two bright blue basketballs, each priced at $ 12,900. The regular Spalding one costs $ 169.95. Hermès, which has turned out footballs and soccer balls in the past, opted for California-chic, cool blue instead of their signature orange for the bull calfskin ball that’s made using the same hand-stitched technique as Hermes’ coveted Birkin. The two basketballs were produced at special-orders atelier in Paris under the creative direction of Pierre-Alexis Dumas. I know this comment is nothing related to the above post!! Just very curious….who is kehkashan Patel ? (hope I got the spelling right)…remember seeing her in some pop music video waaayyy back…n also any info about prerna goel….haseena jethmalani….what’s with all these women…never seem to see their husbands by their side!! !